Delicious Deals and Dining This Week In Ventura County! It's time to fill your bellies with the most delectable food available in the Ventura county! Restaurant Week is here! Enjoy incredible deals on delicious cuisine and discover great new restaurants in Oxnard and Ojai! Bon appétit! Find delicious food and beverage deals at your favorite dining establishments throughout Oxnard. Oxnard’s culinary partners will feature special offerings such as signature taco menus, special treats, and featured beverage tastings, by focusing on the diverse “Culinary” aspect of our Oxnard brand – as a vibrant multicultural experience! Enjoy special offerings at participating restaurants during Ojai’s inaugural restaurant week. During this twelve-day celebration participating restaurants will offer special deals, such as affordable prix fixe menus for lunch and/or dinner, or discounted meals. Visit your favorite eateries or enjoy some new spots. 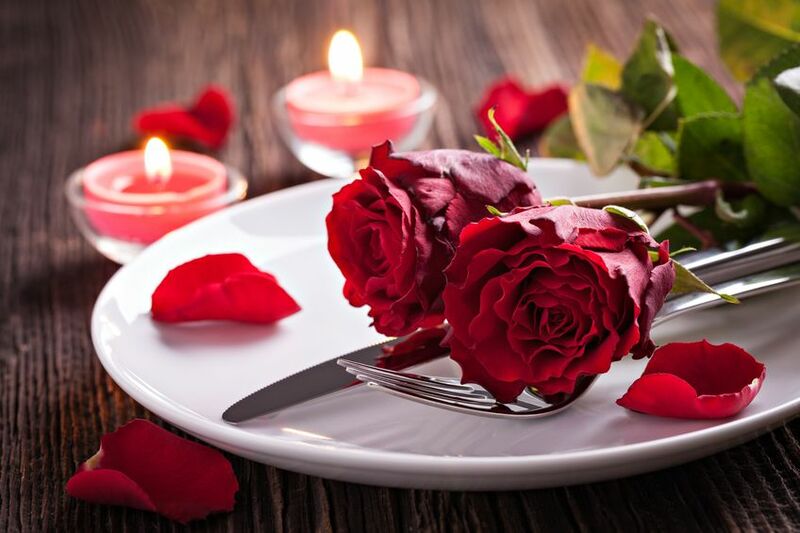 The Blake Mashburn Group wishes everyone happy dining throughout Ventura County! 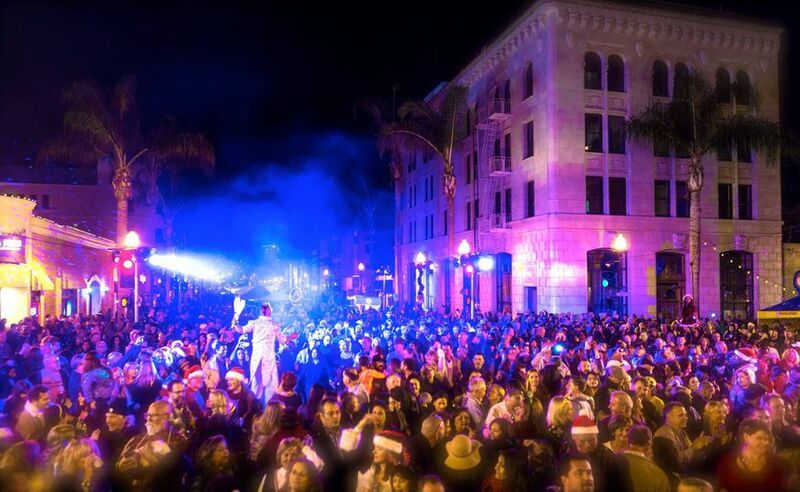 New Year's Eve Celebrations In Ventura County! 2018 is coming to an end! Celebrate all the new beginnings that 2019 will bring throughout Ventura County! Whether you are looking for a night of laughter or live music, you will find the perfect way to end the year with family and friends. Ring in the New Year at one of these incredible New Year's Eve Celebrations! Call (805) 716-4335 to reserve! New Year's Eve "Under The Tuscan Moon"
Call (805) 650-5350 to reserve! 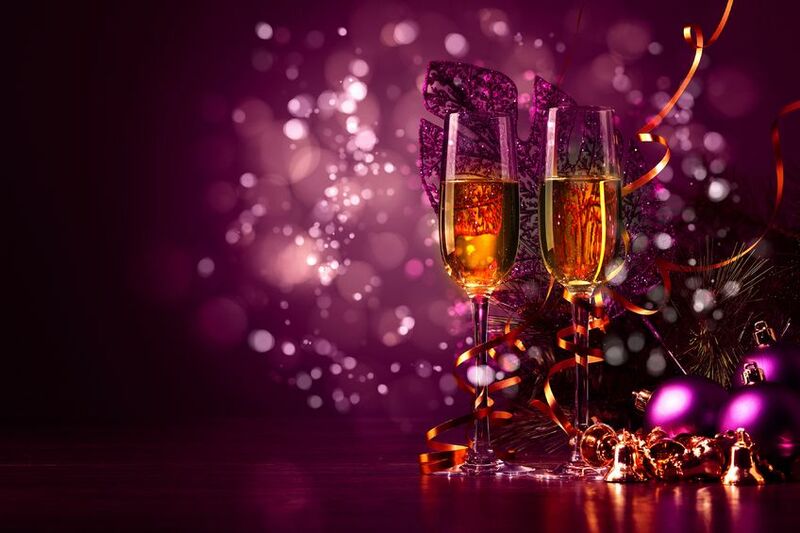 The Blake Mashburn Group wishes everyone a very Happy & Safe New Year’s Eve in Ventura County! Get In The Festive Spirit At The Holiday Parade Of Lights! 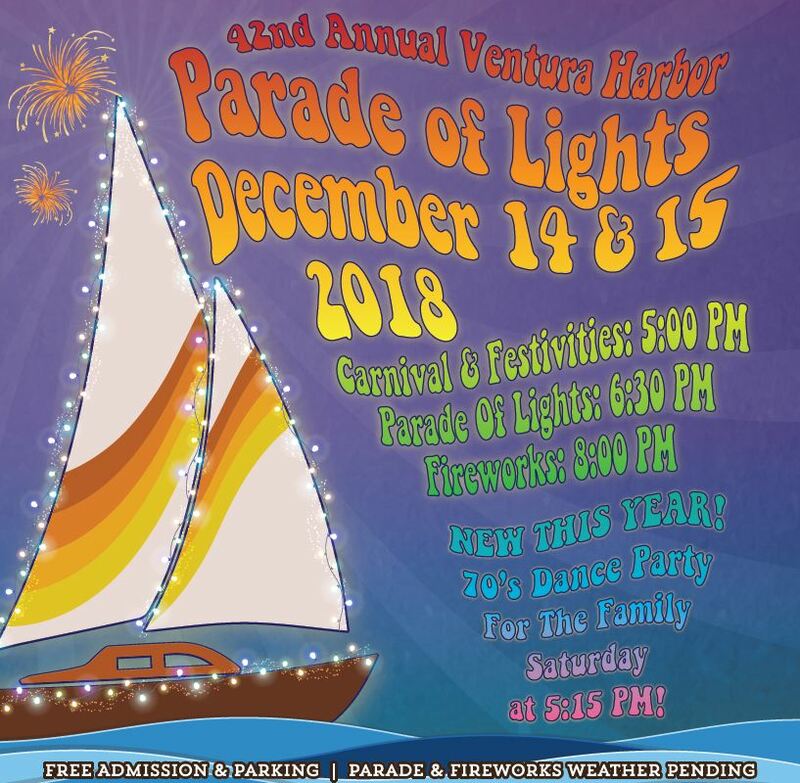 Get in the holiday spirit this weekend at Ventura Harbor Village (1583 Spinnaker Drive Ventura) as they celebrates with their 42nd Annual Holiday Parade of Lights & Fireworks!!!! This year's theme is all about the 70's! Have a groovy time watching the colorful boats fill the harbor! With exciting carnival rides, fun holiday activities, great gift shopping, delicious dining, and sparkling lights, there will be something for everyone in the family to enjoy during the festivities this weekend. Parking and event are free! 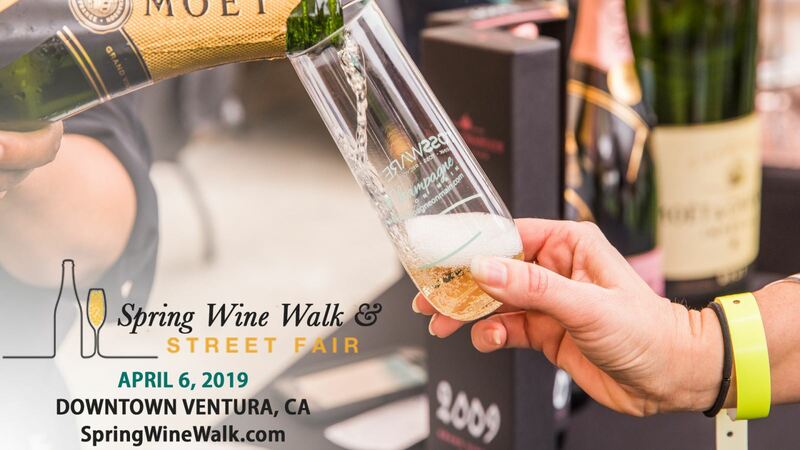 Get in the Holiday Spirit at the Ventura Winter Wine Walk & Holiday Street Fair! The holiday social event of the year is finally here! Head to beautiful downtown Ventura this Saturday, December 1st, for Ventura Winter Wine Walk & Holiday Street Fair!! Join family, friends, and neighbors for some festive holiday cheer! Start your weekend with the Holiday Street Fair from 12:00 pm to 8:00 pm. The 400 and 500 blocks of Main Street in Ventura will be filled with unique vendors and incredible live entertainment. Find great holiday gifts from artisans, crafters, and local businesses. Dine on delicious treats from the plethora of food vendors. Marvel at spectacular holiday lighting and enjoy a magical snow fall from 6:45 pm to 8:00 pm. The Holiday Street Fair is FREE and open to the public! Stick around for the ​Ventura Winter Wine Walk from 4:00 pm to 7:00 pm! This favorite annual event features the most delicious wine and beer being served at 70+ Tasting Locations. Tickets for this event are $55 per person (21+ years old) and can be purchased HERE! HURRY before they are all sold out! The Blake Mashburn Group wishes everyone a very merry time this Saturday in Ventura! 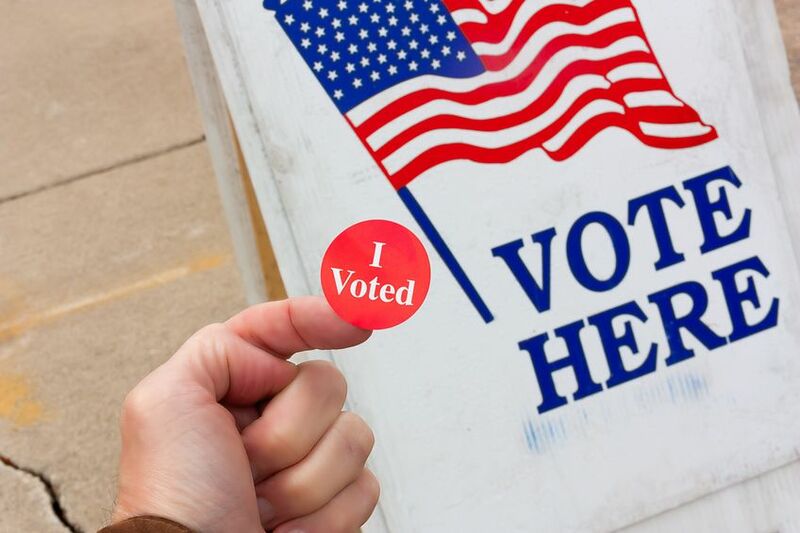 Whether a Republican or Democrat, it is important to exercise your right to vote! Election Day, is tomorrow (November 6th)! Have your voice heard and cast your ballot! All polls in California will be open tomorrow 7:00 am until 8:00 pm. All other polling places in Ventura County can be found HERE. To find your exact polling place, click HERE! Make sure to bring a valid form of identification. We look forward to seeing everyone in Ventura County at the polls! Happy Election Day! Along with beautiful coast lines, stunning mountain ranges, and thriving towns and cities, Ventura County is filled with spectacular, bountiful agricultural land. 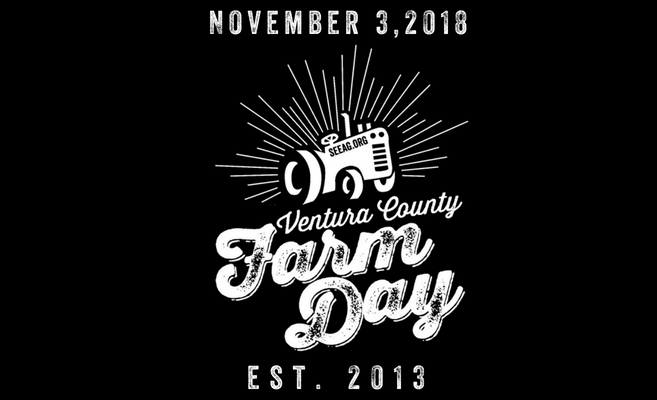 Celebrate our area's farming heritage during the 6th annual Ventura County Farm Day!!! On Saturday, November 3rd, enjoy FREE admission to 20+ local farms. Explore the stunning countryside between 10:00 am and 3:00 pm. Learn more about the workings of these active farms, try fresh and local products, get up close with animals, and so much more. 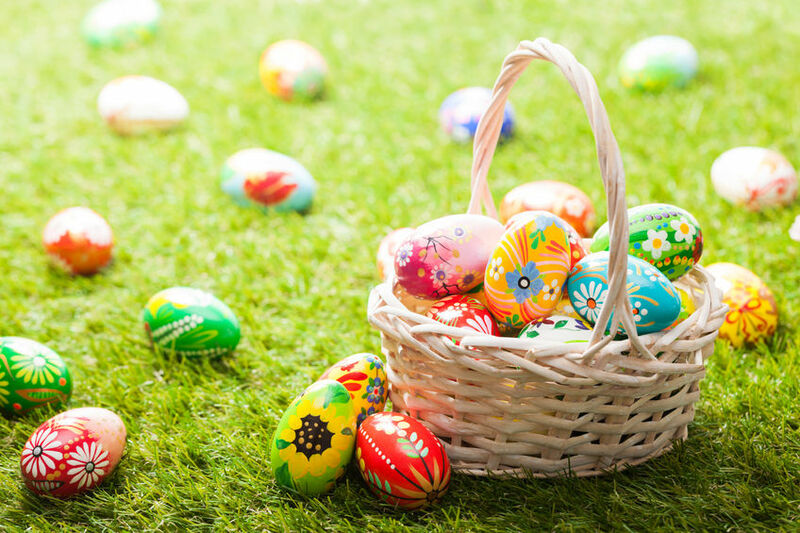 Plus, the weekend is filled with other fun events and activities for the whole family to enjoy. Come discover a side to Ventura County that you rarely get to see for this fantastic annual event! Enjoy fun times and great food at the Ventura County Farm Day Kickoff Barbecue! Fill your bellies, play games, listen to live music, and so much more! Cost: $45 per adult, $15 per child (under 12) | Purchase Tickets HERE!